If you think the iPhone 4 3.5-inch screen with a resolution of 960 x 640 pixel screen is very sharp and dense shock resolution then you will see this one because Toshiba has just introduced a 6.1-inch LCD screen capable of displaying a new resolution of 2560 x 1600 pixels. 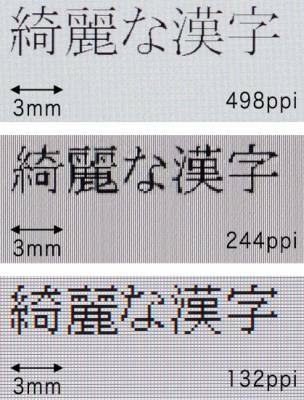 Super LCD screen from Toshiba has a pixel density of 498 pixels per inch. Apple called the iPhone screen that displays 326 ppi 4nya "retinal display" because the density of the human eye can not actually see the pixels cells. In other words, the new screen Toshiba may be sharper than we need. However, this is an impressive technology demonstration, and Toshiba said it offers a display screen "picture quality" because the screen can display 16.7 million colors and also offers a point of view to 176 degrees. Toshiba will showcase a new look at trade shows starting next week. No word on if or when we will never see this screen in the actual product.